Looking for Organic Hair treatment? Home » Blog » Looking for Organic Hair treatment? Summer is right on the corner and yes you must be drinking more water to keep your body and hair hydrated. But are you feeding your hair the best you can? Just like what you eat is reflected on your body and so does the same thing applies for your hair. 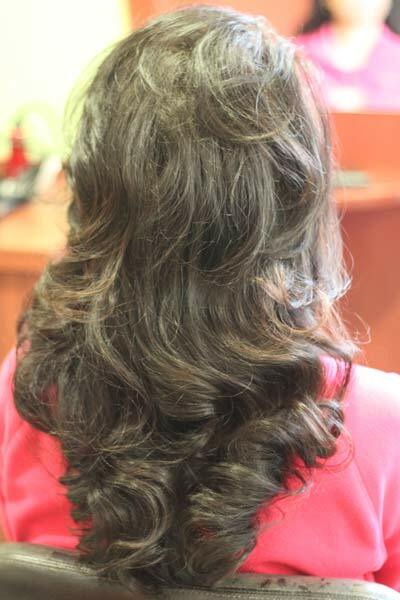 At Kikis body care, we use professional Organic hair products to give your hair the natural lift. We use DermOrganics which is one of the best organic products out there. Plus only professionals who know how organic hair treatments can buy it and use on people. If you are trying to recover your hair from chemical abuse, frizzy hair or damaged hair – you have come to the right place. Make an appointment with Renu and learn more about our services and products @ 604-583-4880.